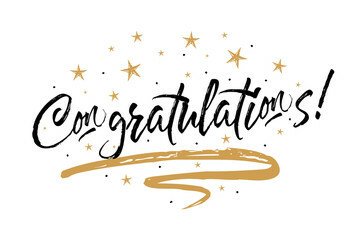 Congratulations to the authors and illustrators who were honored at the American Library Association’s Midwinter conference! 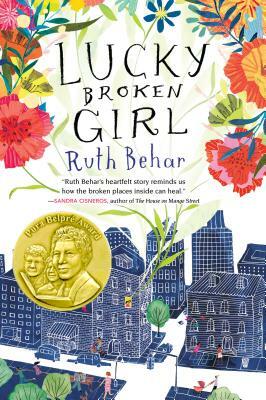 The newest Pura Belpré Awards went to Ruth Behar for Lucky Broken Girl and Juana Martinez-Neal for her illustrations in La Princesa and the Pea. Click on the links below to get more information on the creators and their work! Pura Belpré Award (Author) honoring Latino authors whose work best portrays, affirms, and celebrates the Latino cultural experience. Click on the cover images to see our review of the title or to get more information. 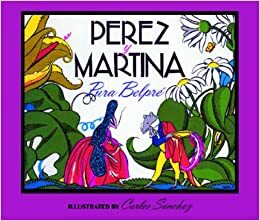 Pura Belpré Award (Illustrator) honoring a Latino writer and illustrator whose children’s books best portray, affirm, and celebrate the Latino cultural experience. Click on the cover images to see our review of the title or to get more information. Portrait by Robert Liu-Trujillo. Read more about the portrait and his projects at http://investigateconversateillustrate.blogspot.com Permission to post given by artist. Yesterday, we provided a history of Pura Belpré’s work and the start of the Pura Belpré Award. Today, we continue the post with interviews with Oralia Garza de Cortés, Sandra Ríos Balderrama, and Celia C. Pérez, co-founders of the award and former award committee members. How did you first learn about Pura Belpré and her work? As a young mom, I embarked upon a quest to find all those books for children related to my cultural heritage that I could introduce my young daughter to. I discovered that the most knowledgeable children’s librarian who could help me was at the newly renovated (at the time) Carnegie Branch of the Houston Public Library. It was Louise Yarain Zwick who first introduced me to Pura Belpré and her wonderful stories in the early eighties. Years later, while doing research one day at the University of Texas while I was in a library school, I discovered a recording of Pura Belpré telling her stories to the children. I heard the deep, rich inflection in her voice as she mimicked the characters to her classic Pérez y Martina: A Puerto Rican Folktale (F. Warne, 1932) I was mesmerized by her storytelling. Then on a visit to Brownsville one hot summer day, I visited the college library where I happened upon a copy of Libros en Español: An Annotated List of Books in Spanish that she edited with Mary Conwell (New York Public Library, 1971). My quest grew into a passion fueled by the artifacts she had left behind, stories and documents left like clues for me to study closely in an effort to re-weave this rich literary tapestry. Why did you want to co-found the Pura Belpré award? There is no denying the power that comes from recognition. Certainly the impact of awards such as the Caldecott and Newbery is undeniable. But the twenty-fifth anniversary awards program of the Coretta Scott King Awards moved me beyond words. As we struggled to establish the Belpré Award through the ALA bureaucratic process, that ceremony sparked my imagination for the potential and the possibilities and served as the impetus for getting the Belpré Award through to the home stretch. We established a set of guidelines that re-defined quality in children’s literature so that the cultural content of the writing and the depictions of Latinos in illustration was as equally important a factor as the other criteria for quality children’s literature. This was critical, as we felt strongly that Latino children needed more positive images of themselves other than the “Speedy González” and “frito bandito” stereotype images that continued to prevail in the media and in the kids’ cartoon networks. Why named it after her? When we started talking concretely about an award, we brainstormed and soul-searched names. Many names were suggested, discussed and argued over. But as names were tossed out, the key question became: What is their contribution to children vis-a-vis literature and libraries? It was our dear colleague and REFORMISTA Toni Bissessar who brought up Pura Belpré’s name. It became pretty clear pretty quickly that if there was any one person with a significant track record of library service for children, it was this amazing pioneering librarian and storyteller, Pura Belpré who also demonstrated the value and importance of outreach as a first step to bringing the children to the public library. 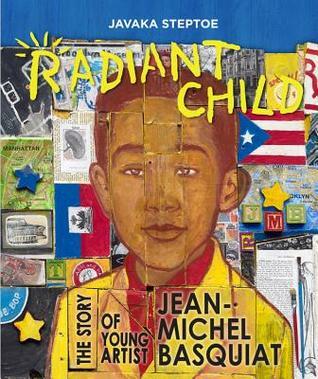 What is the significance or impact of giving this book award to Latino/a children’s books authors and illustrators? Given the publishing industry’s dismal track record of publishing Latino authors and illustrators, the Belpré Award serves a very useful purpose in leveling that very uneven playing field. 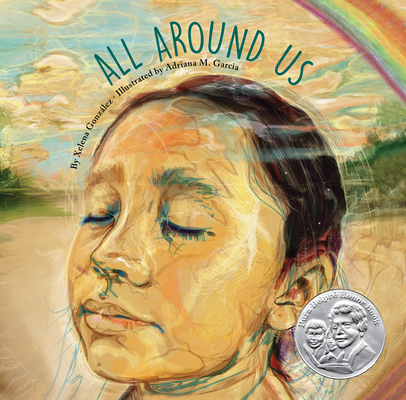 Increasingly, we are seeing Latino children’s authors and/or illustrators who have gone on to receive Newbery, Caldecott, and Printz Awards or honors as a result of the visibility and recognition they first received through the Belpré Award. Winning the award immediately identifies these authors and illustrators to publishers who want to produce materials on the Latino experience but who may not want to take a chance on new, first-time authors or illustrators. The down side of this, of course, is that publishers tend to play it “safe” and so we may see the same authors and illustrators, oftentimes to the delay of new, innovate talent they could take a chance on. The Belpré Award also serves as a very useful selection tools for schools and libraries needing to beef up their Latino collections. But even more importantly, the Belpré identifies authors and illustrators who children and their parents need to see coming to their schools and in their communities and at book fairs like the Los Angeles Times Festival of Books or the Texas Festival of Books. They are exemplary role models for Latino children to know and emulate. It’s part of how we’re going to grow the future generation of Latino writers and illustrators of books for children, and how other children will get to know about Latinos and their vast culture. 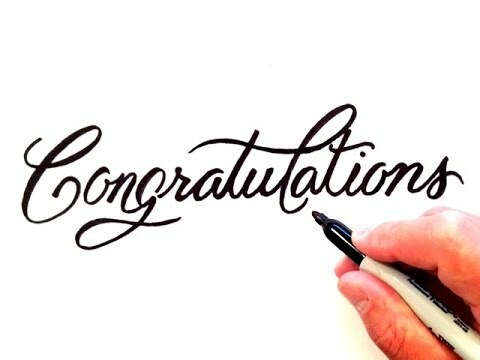 Any future plans with the awards? The period immediately following the 20th Anniversary Celebración will be a good time to reflect upon the last twenty years and is sure to spark some ideas about the direction and future of the award. This is surely a discussion topic for both sponsors of the Belpré Award to discuss and plan as we continue to work together collaboratively in order to insure its continued success. As we move on to celebrating the 20th anniversary of the Pura Belpré award, can you talk a little bit about the Celebración at ALA Annual? The Celebración is quite a unique ceremony that happens every year during the annual meeting of the American Library Association. The Celebración is at once a joyful, colorful, festive, and quite moving and invigorating event. It is a gathering space for the familia of librarians and publishers that come together annually to pay homage to the honorees. The two winning medalists give acceptance speeches, which in many instances move more than a few audience members to tears to hear these authors and illustrators speak from their heart about what the honor really means to them. Children in colorful costumes dance and audience members line up for a chance to get their book signed. 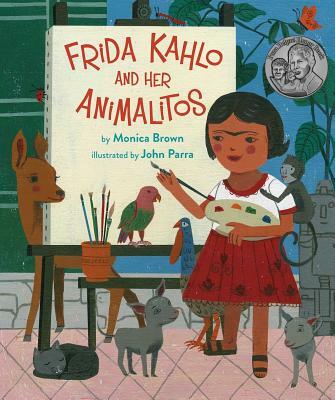 It is REFORMA’s way of honoring these honors we consider literary heroes who are creators of a growing sector of a the body of work we call American children’s literature. 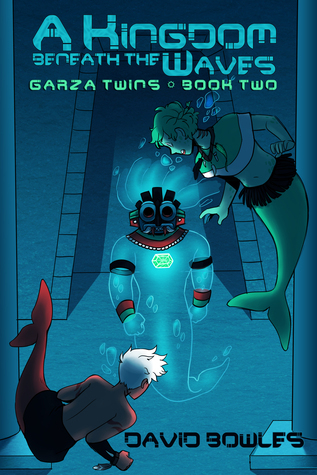 What would you like to see in the next 20 years in terms of Latino children’s literature? 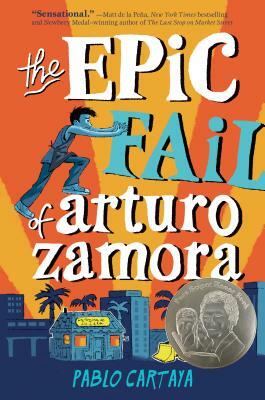 Certainly the slim production of titles about the Latino experience is reason enough to insist that we do better by the growing population of Latino children who deserve so many more stories in all genres and formats that mirror their realities. It always amazes me that given what we know today about the well-established precept of books as ‘windows and mirrors’ as necessary for children to learn, we still find librarians and bookstores oblivious to award winning books such as the Belpré and are reticent to buy these books and add them to their library collections or sell them in their stores. But we also need the publishing industry to better understand the necessity and the need for titles with culturally relevant content and the critical role these books can play in the education of readers who may not be familiar with the nuances of Latino culture. 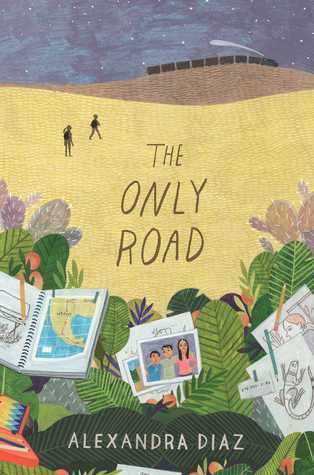 With an increasingly segregated America, how else will we learn about the ‘other’ if not through books with main character like Esperanza or Manny Hernandez? These protagonists for young people are the perfect anecdote that serves to counter-balance the omissions notably missing in history books and in the media at large. Finally, publishers would do well to recognize that Spanish is the second most spoken language in the world. If they are really serious about the future of reading, they would do well to steep themselves into culture and move beyond merely translating the popular books that they are familiar with. Imagine more Spanish children’s book with culturally relevant content! Now that would be change! Any favorite or memorable moment during these last 20 years of the award? I distinctly remember Victor Martinez’s parents at the 1998 Belpré Celebration when he won the Belpré for Parrot in the Oven: Mi Vida. It was heartwarming for me as I realized that I had come full circle when I discovered that Victor’s parents were originally from the Rio Grande Valley in South Texas, where I’m from originally. But then seeing the joy and tears and the expression in their faces as their son received the Belpré Medal was all the affirmation I needed, the very reason REFORMA insisted that we have a Celebración as a way to honor and recognize our winning authors and illustrators, welcome their families, and further develop that comunidad necessary for the development of readers to take root. Any advice for future Latino children’s books authors and illustrators? Trust your instincts, learn from the past, and impress us with your talent! I learned about Pura Belpré from Toni Bissessar one night on the balcony of a New Orleans restaurant. Toni, Oralia, and I were having dinner after a long day of ALA conference and we began to brainstorm names for our future award. “Vivan los niños!” was one. Naming it after César Chávez was another possibility. The napkin that we were writing the names on had a long list. (I wish we still had that napkin! An archival piece!). Then, Toni asked if we had ever heard of Pura Belpré and she began to explain who she was. We knew, then and there, at that moment, as Toni was telling the story of Belpré, that we found our name. It was a perfect fit. Why did you want to co-found the Pura Belpré award, and why named it after her? I met Oralia in 1986 or 1987. I was a children’s librarian in California and she was one in Texas. We met at an ALA conference and this is when the spark that we both held in our hearts and souls, took flame. We shared our frustration of not having the tools to do our work i.e. providing collections that our families wanted and finding storybooks that reflected affirming story and imagery for our story hours. The roots of the award began with valuing effective library service to our communities. As we kept talking, we realized the role of publishers, reviewers of children’s literature, and the perceived lack of Latinx writers and illustrators. 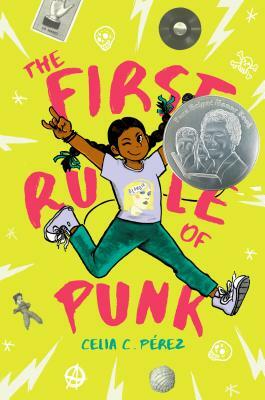 We spoke highly of the Coretta Scott King Award books and began to wonder what it would be like to have an award for Latinx authors & illustrators for books that would provide the diverse Latinx experience of/for children in the USA and that would get beyond the stereotypical images and characters. To meet Oralia was serendipitous and our work was synchronous and synergetic! The decision to create an award sprung from those passionate and insightful conversations at the many tables we shared during those years way before 1996. After learning that Pura was a librarian and that she established bilingual story hours and services at the NYPL, AND that she was the first Latina librarian that we know of, to serve in this capacity – we decided that the vision of the award was aligned with her work. The vision for the award was based on affirming Latinx children, authors, illustrators, books, and storytelling. Her work was about inclusion, and “naming” native languages, culture, heritage, thus, giving her bilingual and bicultural communities the service they deserved. This is also what the award is about – the spirit of service aligned with the richness and inclusion of Latinx in the narrative and illustration of the United States’ experience. The significance is that we’ve come closer to achieving justice, equity, inclusion, and celebration of a more realistic, genuine, world. We still have a ways to go in the ongoing effort to see that our books are published, however this award, like others, gives a boost of acknowledgement and value. Value. The award affirms the potential and power of Latinx to tell our stories, in our way, in our voice and with our brush. The selections are made by librarians with experience in working with Latinx communities so they have insights into the needs and interests of their patrons. The illustrators and authors, themselves become positive imagery for future authors and illustrators i.e. children who may be artists, poets, and storytellers. I always say that invitation is not inclusion. This award is a table that was sculpted by many people, for the authors and illustrators to sit at with pride, knowing that we value their work and their contributions to the world of books, libraries, classrooms, and living rooms. We are a dynamic people. We treasure our components of culture and heritage and at the same time evolve within our settings and the times we live in. We are not static in how we define ourselves and how we write /paint/digitize/imagine our stories. I hope the next 20 years brings Latinx children’s literature beyond my wildest dreams! And lots more of it! The important elements to retain are diversity, dynamism, and dreaming. The Celebraciones I have attended always make me tear up when I hear the authors and illustrators speak. For me they embody, bring to this lifetime and this earthly plane, a beautiful dream of my Comadre Oralia and myself, as well as all of the people that helped, struggled, and worked on behalf of justice and inclusion, along the way Without the Pura Belpré authors and illustrators we cannot preserve, disseminate or evolve. Without them, we as librarians and libraries remain irrelevant. We can not say we are global institutions, without these authors and illustrators. I feel proud, that the illustrators and authors represent the diversity of Latinx culture and experience, in the way they tell, write, speak, paint, digitize, collage, craft, create, imagine, and uncover the many stories that, once published, and once in the hands of all children, help to make our world more genuine, true, and complete. Peruse the Pura Belpré titles. Enjoy them. Give attention to the story, stories and the questions about a possible story to be uncovered, that pound in your heart and won’t let you rest. Listen to the call of the paintbrush and the easel. We are multilingual and “magic realism” for others is our daily life. Your story and imagery are of great worth. Don’t give up. We are fighting for you in the backrooms of libraries, publishing houses, and selection committees. Aho. Ashé, Adelante! I feel like I have known about Pura Belpré forever because the award has been such a significant part of my life in the last few years, but reaching back into my memory, it really hasn’t been that long. I’m not a children’s librarian by training, so I don’t think the award or the woman it was named for were on my radar until recent years. I certainly didn’t learn about the award, much less the woman, when I took a class in children’s materials while in library school! I’ve always been interested in children’s books but it took a while for me to enter that world on a professional level, beyond my own reading for pleasure. In 2010, I enrolled in a post-graduate program with a focus on youth services, and it was during this time that I turned my focus to children’s books by and about Latinos. 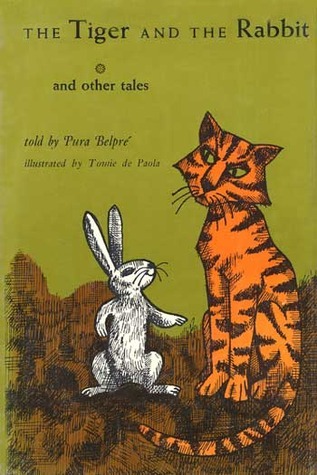 It was probably around that time that I discovered who Pura Belpré was and her significance in the world of children’s librarianship and literature. 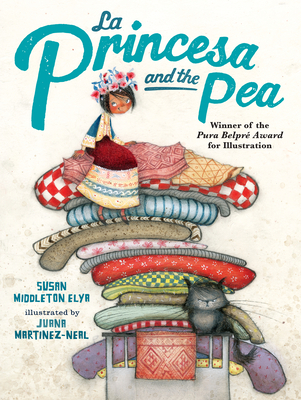 What is the significance or impact of giving the Pura Belpré book award to Latino/a children’s books authors and illustrators? You know we often think about awards in terms of recognizing the authors or illustrators. While this is, of course, the case with the Belpré, its significance is bigger than that as well. It’s not just recognition of the creators but of a group of people, of the presence of Latinos in the U.S. and of our varied cultures, histories, and experiences. The award puts a spotlight on our stories as created by our people. 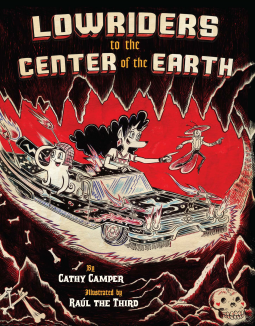 In awarding it specifically to Latino authors and illustrators the Belpré serves to really highlight the work of authors and illustrators that are often otherwise not especially well-represented or recognized in the worlds of publishing and libraries. 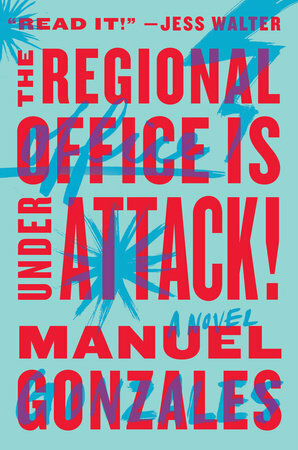 It also puts a spotlight on Latino literature for young people in general. It doesn’t just highlight the best of, but also in a sense, can give a picture of what is missing and what the state of publishing is for these types of books. As a past award committee member, could you talk a little bit about your experience? 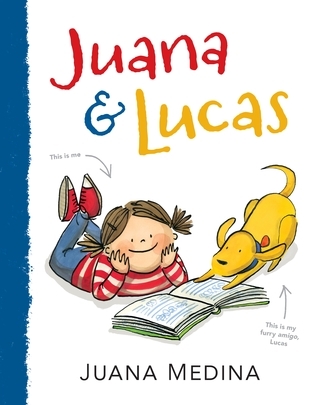 Criteria people should keep in mind when evaluating Latino children’s books? My time on the Pura Belpré committee was one of my most rewarding professional experiences. As with all of ALA’s awards, members serving on committees are not able to divulge details of the deliberation process and discussions. However, I can tell you that the committee members I worked with took on the responsibility of selecting the award winners with a deep reverence and thoughtfulness for the process, for the artists and authors, and for the award and its namesake. The Belpré adds a twist to the standard requirement of excellence in that it also requires that the selection be made with even more refined criteria in mind–work that best represents the “Latino experience.” That can be the tricky part because I think it’s important to be able to view that concept, “the Latino experience,” in many ways. It requires familiarity with Latino cultures in an intimate sense, but it also requires that you think about Latinos as we are situated in larger society. What is a Latino? Where do Latinos fit in American society and culture? What are the historical and current experiences of Latinos in the U.S? And how does one accurately depict that experience? Of course, we can’t forget that the term “Latino” includes so much diversity within, so it really is a challenge. The 20th Celebración is going to be fantastic! All Belpré celebraciones are, of course, but this will be a time to celebrate the current winners as well as honor the history of the award and all who have come through in the past twenty years. In addition to speeches by this year’s winners, and I should mention that all the winners and honors for a given year are invited to speak at the Belpré celebración, there will be music and a youth dance ensemble, a book signing by winning authors and illustrators, and an auction of original art by winning illustrators. There will also be a commemorative book that’s being published by Rosen and will include essays by past winners. I would really love to see the concept of the “Latino experience” broaden in terms of how it’s written and illustrated, as well as how publishers, editors and librarians think of it. We are more than just historical figures and holidays. It’s great to embrace the idea of “diversity,” but we need to evolve in how we think about diversity as well. 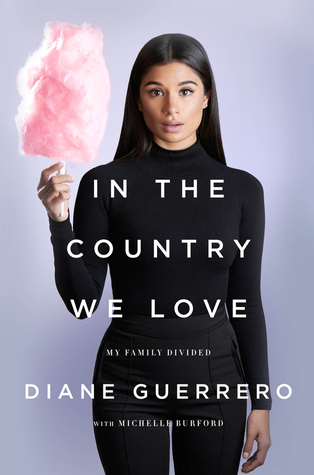 It’s not enough to say publishing is becoming more diverse if the books that are being published are about the same topics, often placing Latinos and other underrepresented groups in a historical context and not as people you see in your everyday world. 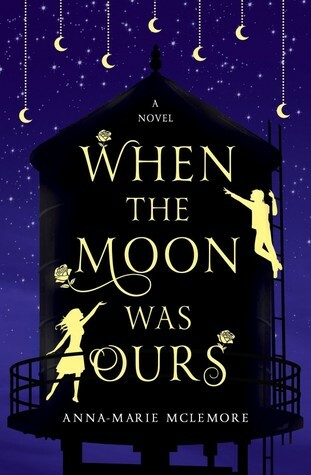 I also think there’s a need for more middle grade and YA with Latino protagonists, so let’s up the representation! Every ceremony I’ve attended has been special. I don’t think I ever leave without shedding a few tears and feeling super inspired. It’s festive and joyful and you really get a feeling of being connected to people. My favorite ceremony was the one I was a part of as a committee member in 2014 (shout out to my committee homies and our winners! ), but all the ceremonies are unique and wonderful. It’s always free and open to anyone who wishes to attend so I invite everyone to experience it for themselves. I guarantee it will be one of the most fun things you do at the annual conference! Since we’re talking about memorable, I should also note that my favorite speech to date has probably been the one Benjamin Alire Sáenz gave when he won for Aristotle and Dante Discover the Secrets of the Universe. Crying like a baby, I was. My advice would be the same as it would be for any writer. It’s important to write what comes naturally. I dislike the idea of feeling boxed into expectations of what a Latino author or illustrator should create. Latinidad comes in all forms. Our differences in cultures, upbringings and life experiences can make for a varied and robust body of work, and that’s a great thing! Sujei Lugo was born in New Jersey and raised in her parents’ rural hometown in Puerto Rico. She earned her Master’s in Library and Information Science degree from the Graduate School of Information Sciences and Technologies at the University of Puerto Rico and is a doctoral candidate in Library and Information Science at Simmons College, focusing her research on Latino librarianship and identity. She has worked as a librarian at the Puerto Rican Collection at the University of Puerto Rico, the Nilita Vientós Gastón House-Library in San Juan, Puerto Rico, and the University of Puerto Rico Elementary School Library. Sujei currently works as a children’s librarian at the Boston Public Library. 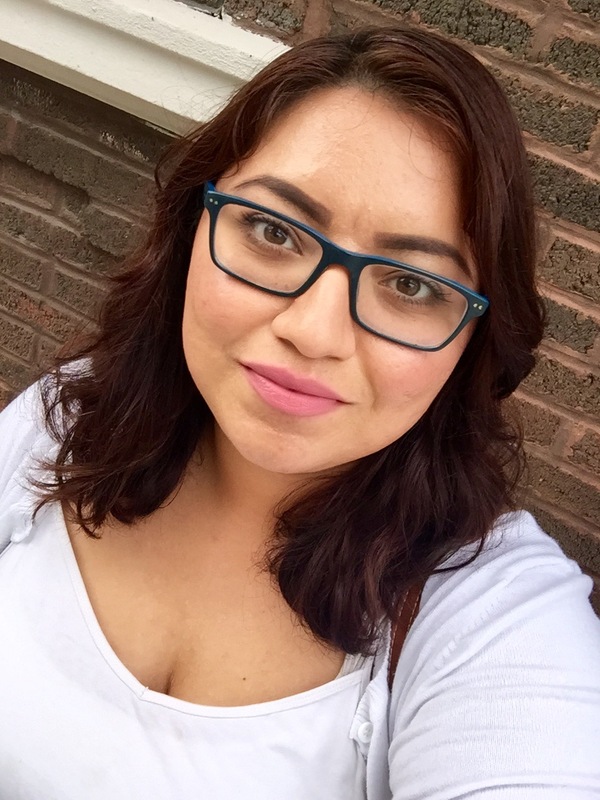 She is a member of REFORMA (The National Association to Promote Library Services to Latinos and the Spanish-speaking), American Library Association, and Association of Library Service to Children. 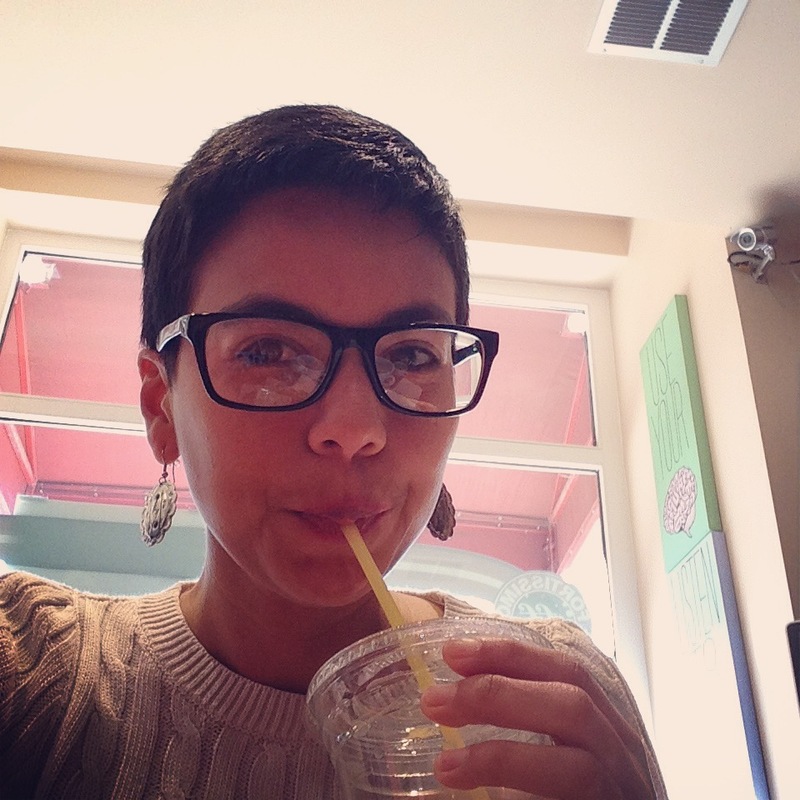 She is the editor of Litwin Books/Library Juice Press series on Critical Race Studies and Multiculturalism in LIS. Sujei can also be found on Twitter, Letterboxd and Goodreads. By now, we are all familiar with the various conversations about the need for children of color and Native children to see themselves represented in the stories they read. However, not many know that these discussions, as they pertain to Latinx children, have been taking place since the early 1920s when Pura Belpré became the first Puerto Rican librarian in the New York Public Library system. Clearly, the context for dialogues around diversity were different because it was a different time; however, the urgency surrounding issues of representation, advocacy, and empowerment as they relate to Latinx children have many similarities. Unfortunately, Belpré’s legacy is not one that is well known. Robert Liu-Trujillo, illustrator of the beautiful Belpré portrait on this post, says “I didn’t hear anything about Ms. Belpré until I was in my 30s. Once I realized that there was a really interesting person behind the award, I was really surprised that I’d never heard of her before. From what I’ve read about her and seen through my research, she was a revolutionary figure in children’s education and storytelling.” Trujillo is right to call Belpré a “revolutionary figure” because she indeed was. Her innovative use of Puerto Rican folklore to reach predominantly Spanish-speaking Puerto Rican children in New York City revolutionized the role of public libraries in the life of these children. Through her storytimes, her puppeteering, and her written works, Belpré set a high standard for how libraries should tailor their programs and services for the communities and peoples in which they’re located. Her commitment and advocacy to bridge her Puerto Rican community to the library, and vice versa, showcases the roots of critical children’s librarianship and inclusion, and not assimilation, of marginalized voices into the field. Much work still needs to be done to bring Belpré’s legacy to the front and highlight the many ways she’s revolutionized storytelling, librarianship, and children’s books for Latinx children. In “Pura Belpré Lights the Storyteller’s Candle: Reframing the Legacy of a Legend and What it Means for the Fields of Latina/o Studies and Children’s Literature,” Marilisa Jiménez-García discusses the various roles Belpré inhabited and the ways her contributions as a librarian and a writer, for example, can be read as subversive political acts. Jiménez-García says of Belpré as a storyteller, “she occupied as a kind of weaver of history, [she] encouraged children to defy assimilation along with the textual and national boundaries created by the dominant culture” (Jimenez-Garcia 113). 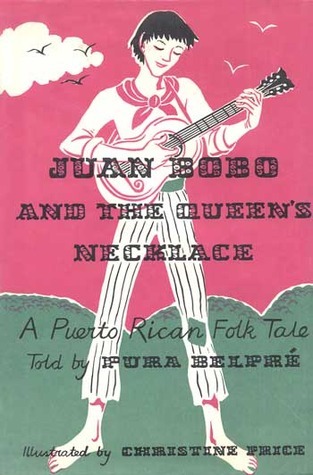 In other words, through her use of Puerto Rican folklore, Belpré was teaching young Puerto Rican children to embrace their cultural identity and to challenge dominant narratives that depicted them as less than. Jiménez-García further argues that “Belpré’s interventions within U.S. children’s literature constitute an attempt at cultural preservation, and even further, as an attempt to establish historical memory within the U.S. for Puerto Rican children” (115). In this way, Belpré used her writing to bring to the forefront a Puerto Rican heritage necessary for the identity construction of Puerto Rican children in the U.S. In The Stories I Read to the Children: The Life and Writing of Pura Belpré, the Legendary Storyteller, Children’s Author, and the New York Pubic Librarian (2013) Lisa Sánchez González writes, “In all of her work—including her work as a public librarian–she aimed to ensure that working-class bilingual and bicultural children had rightful access to what is still too often a privilege: Literacy, and with it, free and public access to good books” (17). 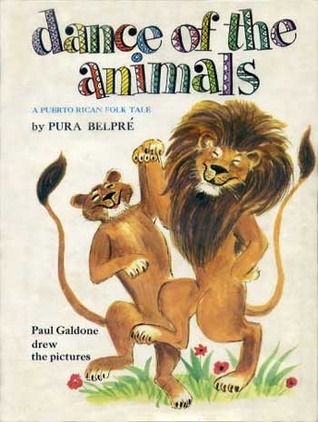 Jiménez-García’s and Sánchez González’s research inform us that Belpré was telling, writing, and performing stories that centered Puerto Rican culture and folklore, that she created a space at the NYPL and made Puerto Rican children the center of it, and that she was committed to making books available to children. In this way, Belpré led her own revolution. Belpré’s legacy is incomparable, and 2016 marks the 20th anniversary of the children’s literary award named after her–the Pura Belpré Award. The award was established in 1996 by co-founders Oralia Garza de Cortés and Sandra Rios Balderrama. 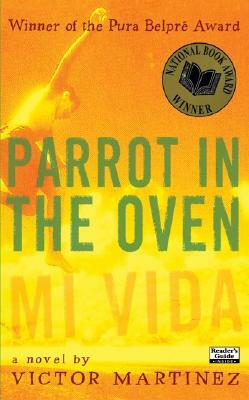 According to the award website, the Pura Belpré Award is “presented to a Latino/Latina writer and illustrator whose work best portrays, affirms, and celebrates the Latino cultural experience in an outstanding work of literature for children and youth.” By establishing an award that highlights Latina/o writers and illustrators creating works about Latina/o experiences, Garza de Cortés and Rios Balderrama carved a space dedicated to the empowerment and the future of Latinx children. Belpré’s legacy as a librarian, a writer, and a puppeteer demonstrate the importance of storytelling as a means of resisting and challenging oppressive dominant narratives. The Pura Belpré Award allows us to continue this revolution and give Latinx children and youth an opportunity to transform the world around them. REFORMA (The National Association to Promote Library and Information Services to Latinos and the Spanish Speaking) along with the Association for Library Service to Children (ALSC) are joining efforts to hold a special celebration for the Pura Belpré 20th Anniversary Celebración at this year, ALA (American Library Association) Annual Conference in Orlando, Florida. 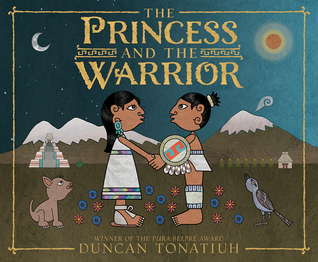 The event will feature speeches by the 2016 Pura Belpré Award medal and honor winning authors and illustrators, David Bowles, Antonio Castro L., Angela Dominguez, Margarita Engle, Rafael López, Meg Medina, and Duncan Tonatiuh. It will also include book signing, a silent auction of original art by Latinx children’s illustrators, a new commemorative book for sale, The Pura Belpré Award: Twenty Years of Outstanding Latino Children’s Literature, and a keynote by author and storyteller, Carmen Agra Deedy. The event promises to be a well-rounded celebración to recognize the award that lay ground to the recognition of Latinx children’s books creators within the youth literature field and the trajectory of the award, its past winners and honors, and the constant supporters of Latinx children’s literature. For Part 2 of this post, which will run tomorrow, we spoke to members of the Pura Belpré Award Committee to get their insight on the momentous occasion that is the 20th anniversary of the Pura Belpré Award. Their interviews provide us with an insight to their motivations for creating the award, to the need of an award dedicated to Latinx children’s books written and illustrated by Latinx, the future of the award, and a look back at favorite award moments from the last 20 years. Tomorrow, read extensive interviews with Co-founder Oralia Garza de Cortés, Co-founder Sandra Rios Balderrama, and past committee member Celia C. Pérez. Leading up to the event, we will be highlighting the winners of the narrative and illustration awards. Today’s spotlight is on Rafael López, the winner of the 2010 Pura Belpré Illustration Award for Book Fiesta! Celebrate Children’s Day/Book Day, Celebremos El dia de lo niños/El día de los libros, written by Pat Mora, and the 2016 Pura Belpré Illustration Award for Drum Dream Girl, written by Margarita Engle. 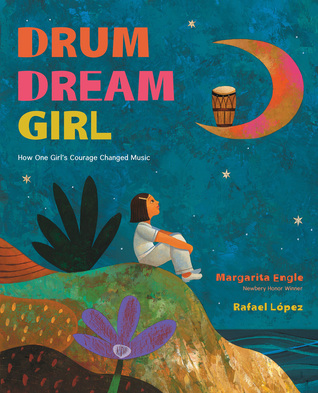 We featured Drum Dream Girl in a book talk and in a special report about a library event. Rafael also received a Pura Belpré Illustration Honor three times: In 2014, for Tito Puente: Mambo King/Rey de Mambo, written by Monica Brown; in 2012, for The Cazuela that the Farm Maiden Stirred, written by Samantha R. Vamos; in 2006, for My Name is Celia/Me Llamo Celia: The Life of Celia Cruz/ La Vida de Celia Cruz, written by Monica Brown. Book Fiesta! Celebrate Children’s Day/Book Day/ Celebremos El día de los niños/El Día de los libros, written by Pat Mora and illustrated by Rafael López, is a gem of a picture book that offers its wonders in two languages, English and Spanish. Book Fiesta! exuberantly proclaims the joys of reading and introduces the concept of Día, an annual celebration of literature for children, founded by Pat Mora in 1996, and observed through special events by many libraries nationwide. What Mexican painter, muralist, and illustrator Rafael López brings to a picture book must be seen and not just read about. His mastery as an illustrator extends to every aspect of the art: a strong concept, dynamic design, brilliant execution, and irresistible charm. It’s no wonder that the Pura Belpré committee recognized his work. Let’s take a closer look. Used by permission from HarperCollins Children’s Books. You don’t have to be an artist to appreciate López’s expert techniques, including his winning combination of hard-edged shapes and saturated colors, delivered through heavily textured paint and splashy accents, and supported by a golden undertone that unifies all of the spreads. In the pages above, a huge, friendly sun smiles down on the children, accompanied by a trotting elephant. Such charm! López champions diversity in his illustrations. Here, a parade of children follows a Chinese dragon whose tail doubles as a banner, announcing Día to one and all. Note the diversity represented in the races of the children. One child pulls a wagon full of books bearing titles in English and Spanish. Outside the library, even the stone lion looks pleased to take part in Día. The children relaxing on the marble beast are immersed in their books. In the background, a boy in a wheelchair eagerly makes his way to the library—another evidence of the illustrator’s awareness of diverse representation. López amplifies Pat Mora’s words through many inventive means. Here, in a depiction of the glorious adventures made possible by reading, a hot-air balloon floats over a mountainous backdrop, complete with a smoking volcano. The pilot is a giraffe in old-fashioned aviator goggles. Elsewhere, books transport children by other means: on an airplane, a train, an automobile, a rowboat, on the back of an elephant, and even in a submarine. Simply put, stories hold the power to magically ferry readers to far-away places and imaginary lands. López brings this virtual travel to life through an enthralling variety of presentations and an engaging level of detail. Reading in bed—what better way is there to top off a busy day? In a color-drenched scene, López presents two children indulging in this lovely pastime. One child, floating on a bed of clouds, has already fallen asleep, while the other is midway through a yawn. Her bed is supported by the curve of a crescent moon. López’s trademark brushwork fills the sky with vivid sunset hues that transition to the deep violet of late evening. It’s all grounded by rolling hills, painted in shades of teal, a color appropriate to the dying light. In the distance, the windows of buildings twinkle with warmly lit interiors, while cutout stars punctuate the heavens. Dreamy. The richness of each spread in Book Fiesta! invites long looks and repeated views that reward readers with the new discoveries. Every page turn reveals a refreshing surprise, backgrounded by a palette that spans the rainbow. 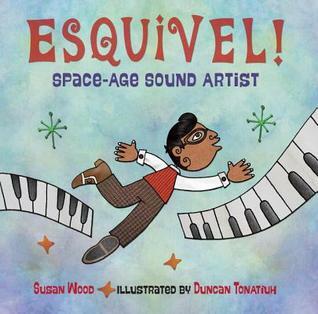 Thanks to Pat Mora’s wonderful vision and Rafael López’s dynamic illustrations, this picture book offers a perennial delight to readers of all ages. Book Fiesta! Celebrate Children’s Day/Book Day; Celebremos el día de los niños/el día de lo libros. Text copyright ©2009 Pat Mora. Illustration copyright ©2009 Rafael López. 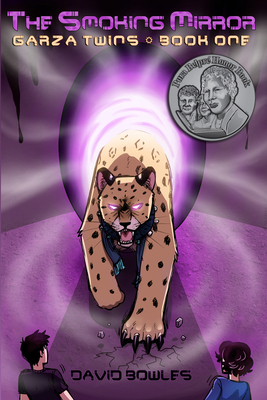 Images used by permission of HarperCollins Children’s Books. Raised in Mexico City, Rafael López makes his home part of the year in San Miguel de Allende, Mexico, as well as in San Diego, California. He credits Mexican surrealism as a major artistic influence. Besides his Pura Belpré medals and honors, Rafael is also a double recipient of the Américas Award. For more about his work, including poster illustrations and a mural project in San Diego that is the subject of a new picture book, Maybe Something Beautiful, visit his official website. Lead children in an imagination exercise based on the reading spots depicted in Book Fiesta. What are some places that you can take a book to? What are some places that a book takes you to? Ask students to include real-life and imaginary destinations. Devise a book parade, featuring wagons loaded with books, masks or disguises based on favorite characters, and banners heralding Día, or another book-related holiday or theme. Invite children to create illustrations based on López’s style. This can include painted backdrops and cutout figures, with an emphasis on strong shapes and bright colors.